Zimbabwe has been in the news lately and we have a couple of clients voice concern re “is it safe to travel to Zimbabwe?” I have been in touch with our partners up there and this is the latest information at hand. There are times when you and your bestie want to do some travelling. The thing that always comes to mind is – will we be safe? This is simply not an issue in Victoria Falls – or in Zimbabwe as a whole at all. Tourism is the very reason for Victoria Falls’ being and tourists are treated with friendliness and courtesy everywhere, by everyone. So where to go? Every year we set off with our camping trailer to get an "on the ground" feel for a destination. 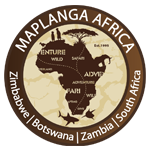 This June we revisted Mana Pools National Park in Zimbabwe. Here are some tips for a camping trip to this wonderful wildlife destination. There are some things that just make travelling easier, other things that you shouldn’t leave home without – like sunglasses for example. Here are some things you didn’t know you needed. The dive bug was calling... but I wanted nice easy diving, not a full on diving experience like we have at Aliwal Shoal. Zanzibar fitted the bill for us and didn't disappoint. A random call from RCI asking us if we would like to use some unused points put in motion our pre Christmas break to Vic Falls. For a small number of points and a bit of cash we chose to stay at Lokuthula Lodges in Vic Falls. In another bid to escape the maddening crowds that have become a huge part of Christmas and the festive season, the Maplanga's decided to once again get out there, explore and find somewhere new. We like to do our own thing and with this in mind we located the perfect solution. A self catering 4 bed roomed private villa in a quiet part of Zanzibar Island, well not too quiet; we do like a pub or three! Our Hwange 2012 trip is done and dusted, hmm very dusted! It was dry, hot (in the day) and freezing cold at night but wow what a great trip. The Maplanga Africa team were busy over the weekend, we were the sponsors of the main prize of a four night trip for two to Shackletons Tiger Fishing Lodge. I’m Brigitte, the Maplanga Africa events consultant but some call me the ‘Tour Guide’. I had the privilege of hosting a Dad’s and Lad’s Group at the A’Zambezi River Lodge in Victoria Falls this past weekend. 7 Dads and their sons, made for an interesting weekend which surpassed my every expectation - I have never seen such well behaved children (and dads)! We set off off for our end of year self drive safari to take in Botswana, Zambia and Zimbabwe. What a trip we had! Watch out Hwange, Gonarezhou is going to be my next favourite Zim Park! Gonarezhou is spectacular. We have wanted to visit this park for years and when the opportunity presented itself to join respected editor Mark Samuel of Caravan and Outdoor magazine, we jumped at the chance and we were not disapointed. A brand new aZambezi River lodges emerges after a full refurbishment. Same wonderful place on the Zambezi River just more gorgeous. My mother had never been to Victoria Falls so I set out to rectify that with a weekend at Ilala Lodge. We seem to end up in Hwange every year around the same time and have been lucky enough to experience all levels of accommodation. This time we were lucky enough to stay at Little Makalolo in the Wilderness Safaris private concession. I once very nearly immigrated to Kenya. Things didnt work out but there was unfinished business to do - the great Kenyan migration safari. This is the Kenyan family holiday that put things right. The onset of winter in Southern Africa brings on a wanderlust for the bush. We had some ‘unfinished business’ in Botswana after our trundle in December as the immense amount of ground water in the Magadikgadi meant that we didn’t get around to exploring the Pans and most importantly Natalie didn’t get to see Baines Baobabs. With this in mind we took up Air Zimbabwe’s kind offer to join them for the inaugural direct flight Johannesburg to Vic Falls to prove that you can catch many tiger in winter, if you use the right methods. Rod tubes in hand we checked in at the Air Zimbabwe counter in the new section at OR Tambo, 2 hrs later we arrived and enjoyed a wee bit of “pomp and ceremony” to celebrate this very important event. There is a reasonably well known TV show in South Africa named Extreme Sports Angling, the show offers what it terms “extreme adventure fishing”. In reality it is a rather rotund chap fishing off the Natal rocks with a sardine wrapped with cotton, backed by some sort of edgy music. Extreme? We think not! There comes a time when the male species of our race tend to gather in groups and embark on “expeditions” in search of the best international rugby matches, copious quantity’s of bitterly cold beer, game hunting or fishing. With this in mind, a group of very different but like minded “tiger hunters” arrived at OR-TAMBO International Airport on a bitterly cold July 16th morning. The baggage of this group of hunters consisted mainly of strange looking plastic tubes which could have easily concealed “secret weapons of mass destruction”! We had the good fortune escape the Joburg winter and take a break in the South Luangwa National Park in Zambia recently. I have to admit it right here and now that I am not the best flyer. Every bump and wiggle in the sky increases my worry. The smaller the plane the greater the anguish... but for all the anxiety it causes me the reward of a great holiday adventure at the end of the flight is far greater. This trip was no exception.